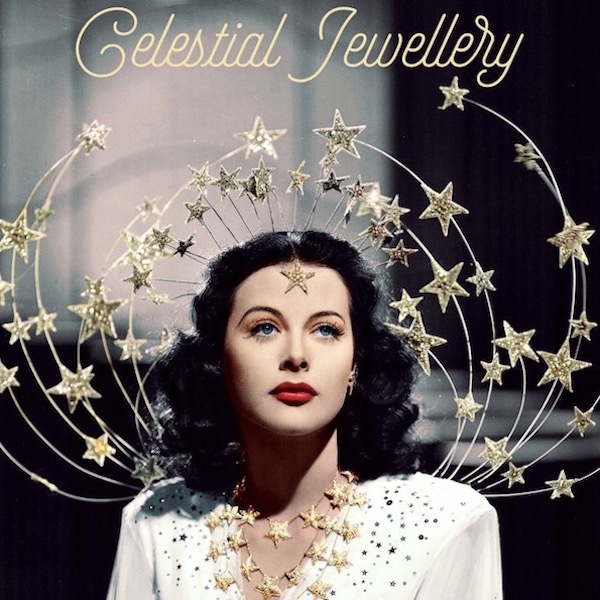 Celestial themed jewellery is a personal all-time favourite of mine, there’s just something so pretty about adorning yourself with the night sky, like a princess from outer space. 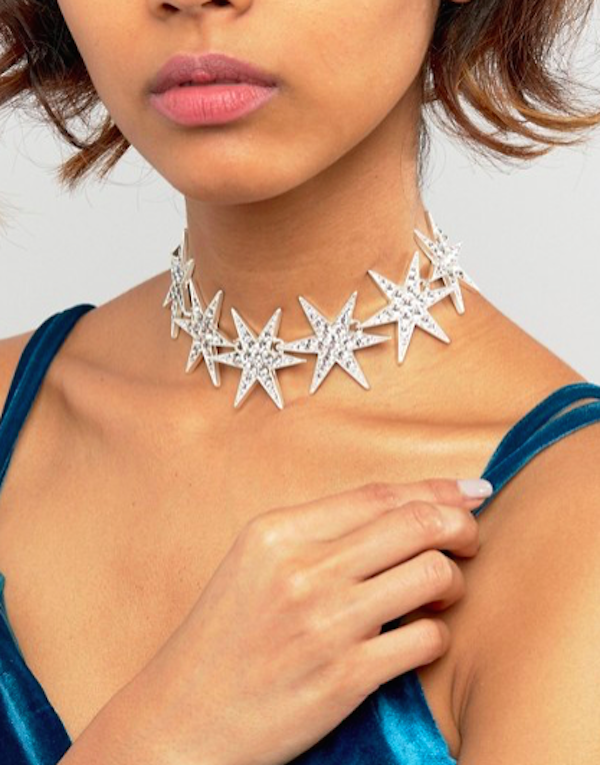 Step into the new year with some cosmic luck and the power of the moon & stars on your side with my special cosmic jewellery edit, featuring gorgeous pieces inspired by the universe. Wear the moon on your neck, the stars in your hair & a nebula on your ring finger for perfect dreamy vibes and a far-out style quotient. 1. 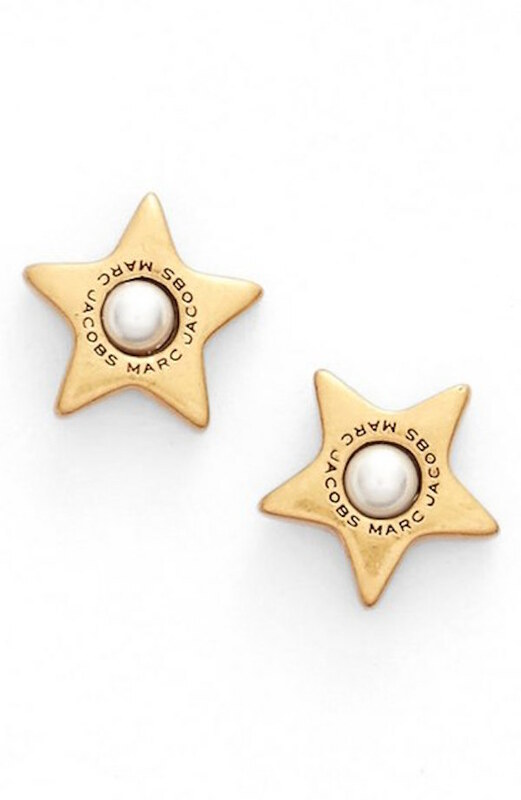 Dainty little Marc Jacobs stars for your ears, ideal for that everyday subtle sparkle. Order them from Nordstrom. 2. 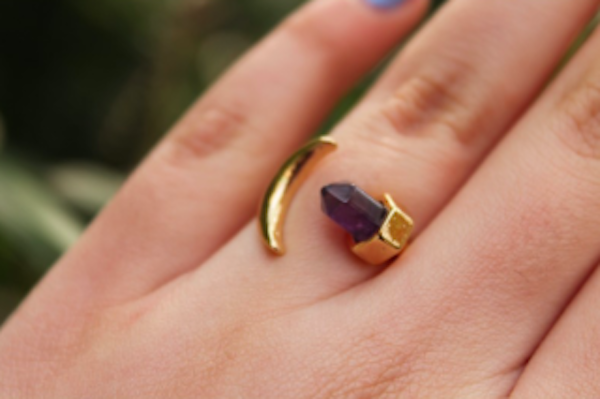 Purple & gold quartz crescent Amethyst ring; slightly witchy, slightly girly, very cool. Available here. 3. 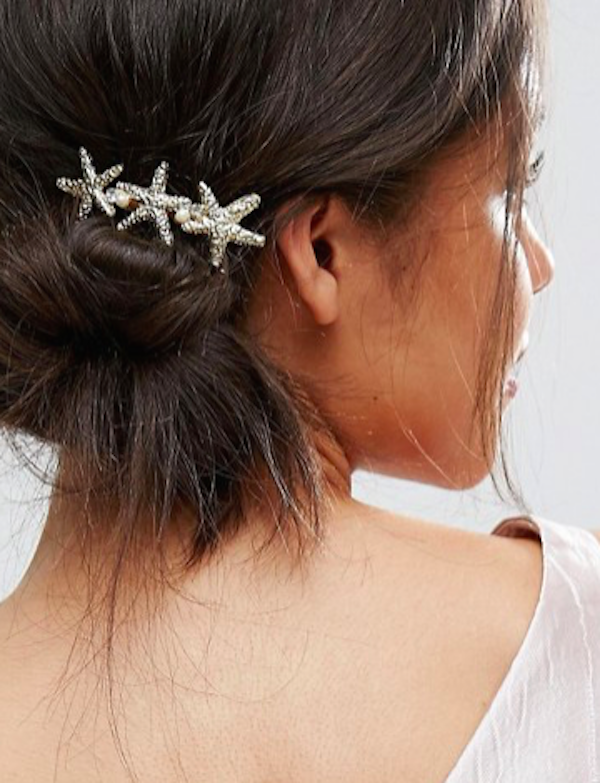 This pearl & star hair clip from Asos is all the sparkle your hair needs for a glamorous night out. 4. 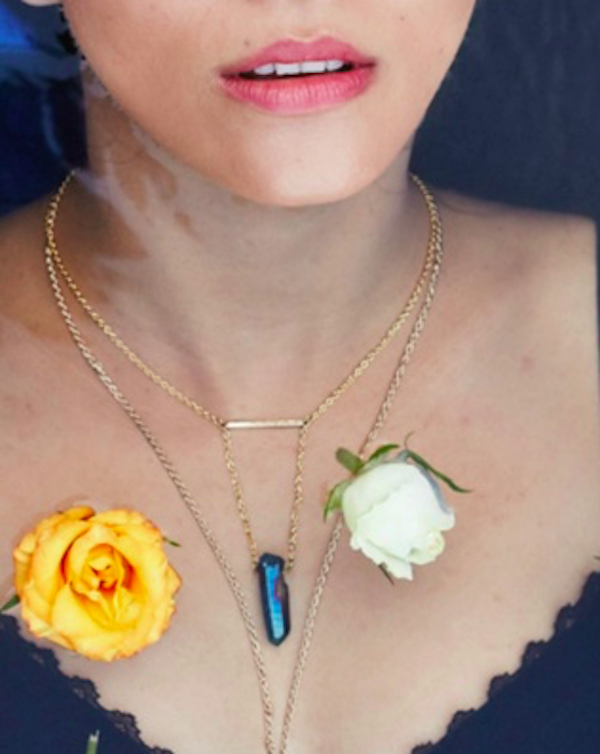 Delicate layered gold from Shop Lune is the only accessory you need. Reminiscent of the phases of the moon, the multi-layered strands are sweet and shimmery. 5. 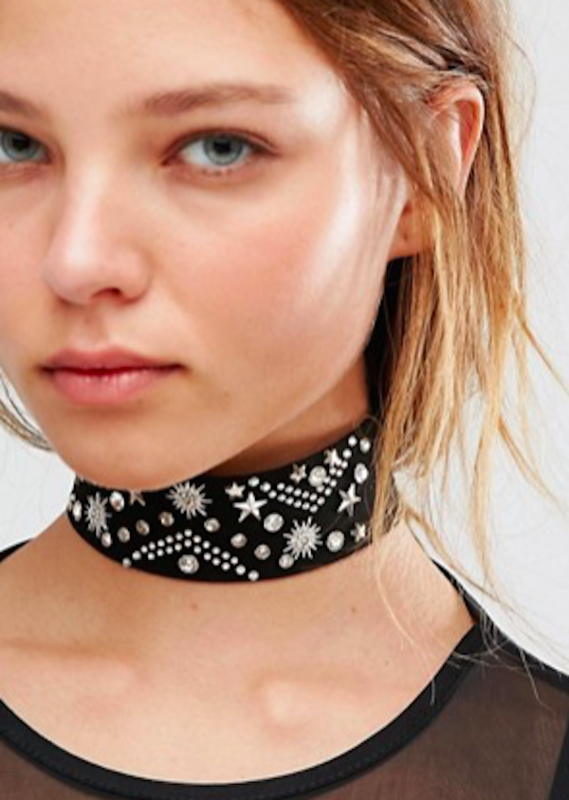 Ever since chokers made a comeback it seems like they’re here to stay for a while. 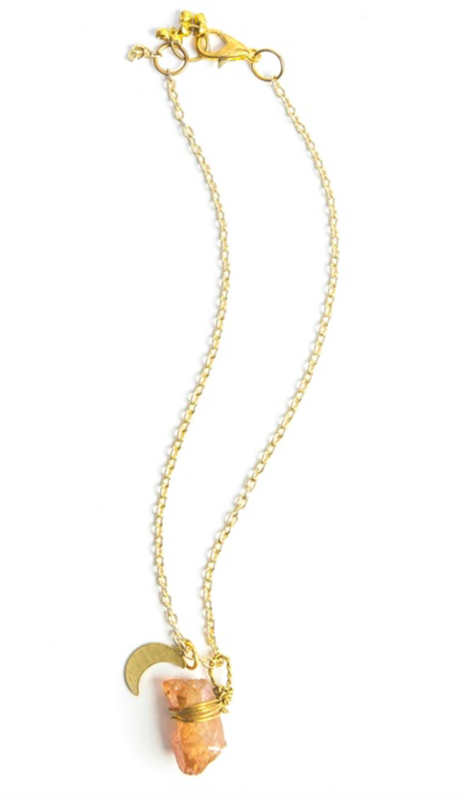 Be totally on trend with this black wraparound style & white horn crescent pendant from Nordstrom. 6. If you’re just a comic girl from another galaxy. Order here. 7. Celestial style for the badass babe. River Island on Asos. 8. 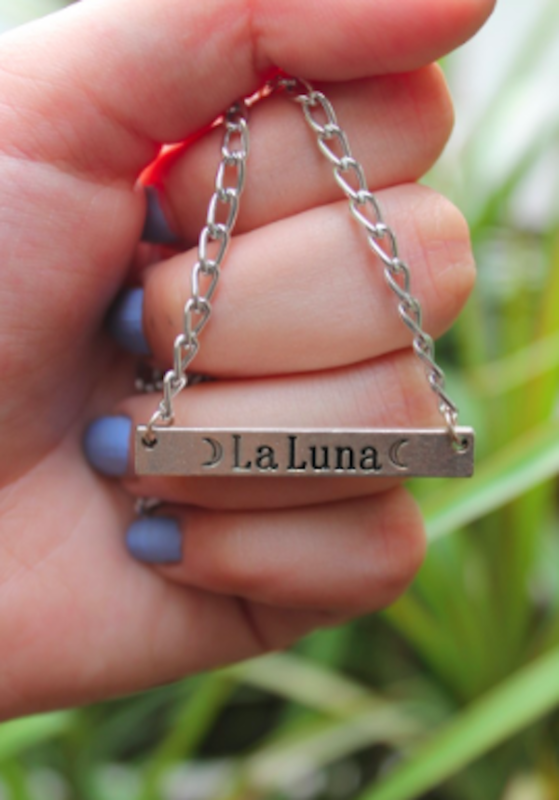 A sweet & simple way to show your love for the night sky. Buy on Asos. 9. Because your feet need some attention too. Wrapped crystal & moon anklet from Shop Lune. 10. Some days you just need to feel like the space queen you are. 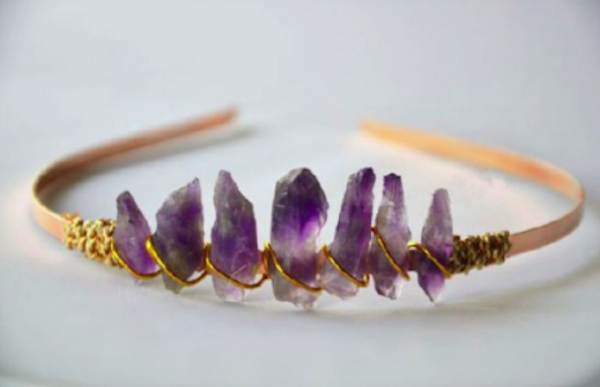 Amethyst tiara by Celestial Kitten. 11. 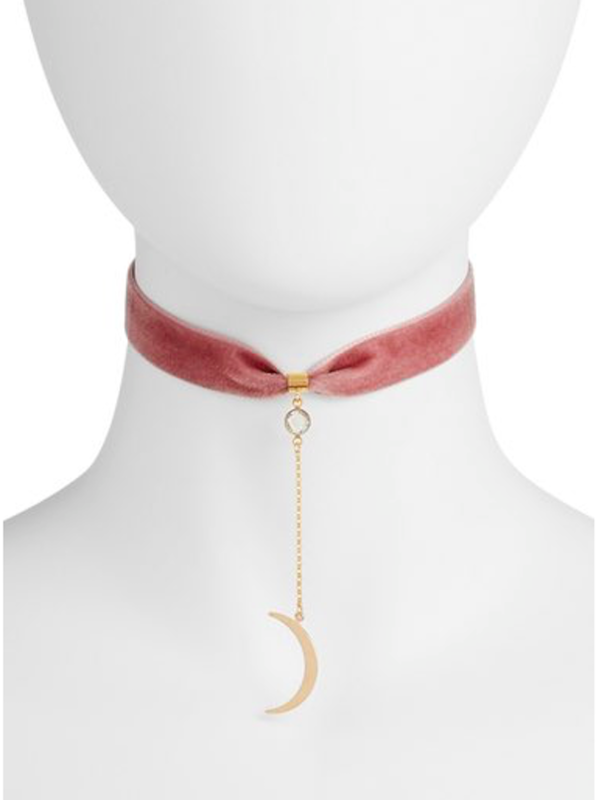 A dainty silver crescent moon body harness is basically as pretty as it gets. Wear with something simple for maximum impact. Get it here. 12. A little bit over the top, but when is that a bad thing? Sparkle on, girl! From Asos. 13. 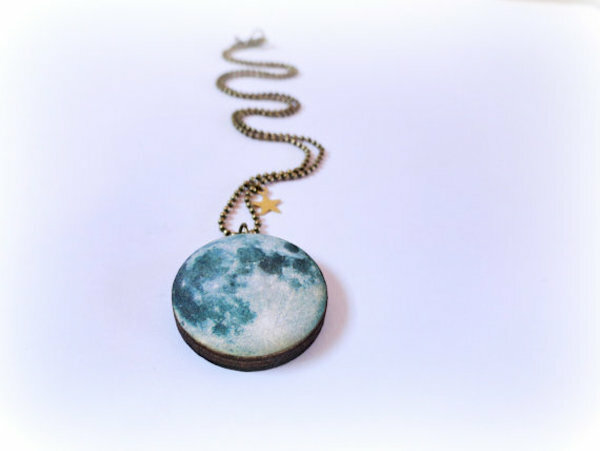 Blue moon pendant with a small star charm, available on Etsy. 14. An engraved bar necklace makes the ideal gift (for yourself or someone special). Get it here. 15. 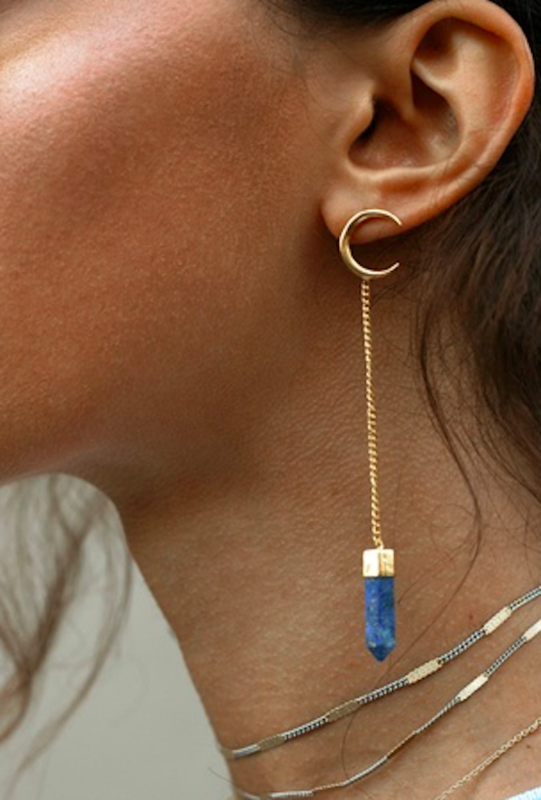 My lunar obsession continues with these simple yet statement moon & stone earrings. Shop Lune. 16. 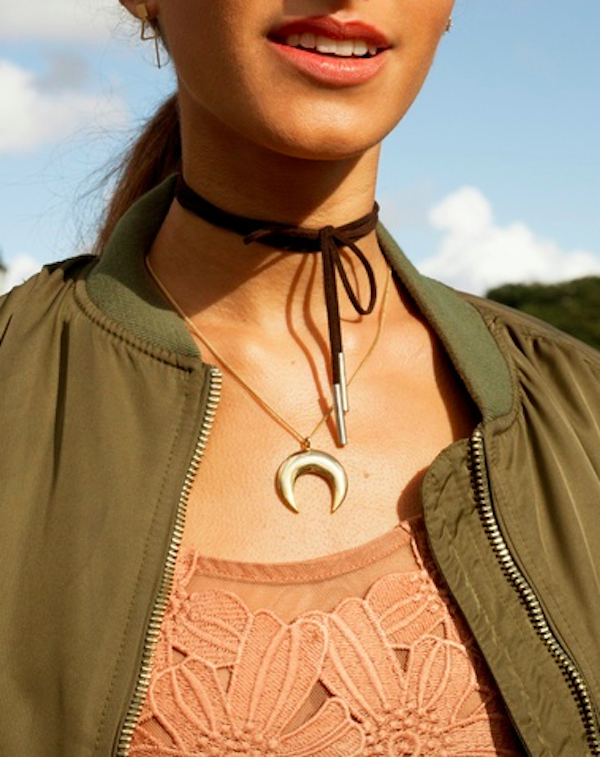 The choker gets updated with a dramatic hanging crescent charm. Shop now. 17. Stars all the way up your ears. 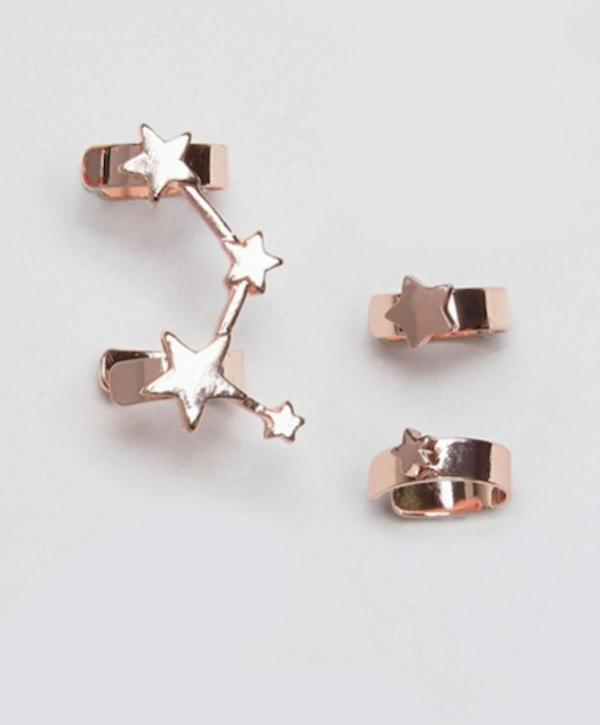 Get this demure little rose gold ear cuff set from Asos. 18. 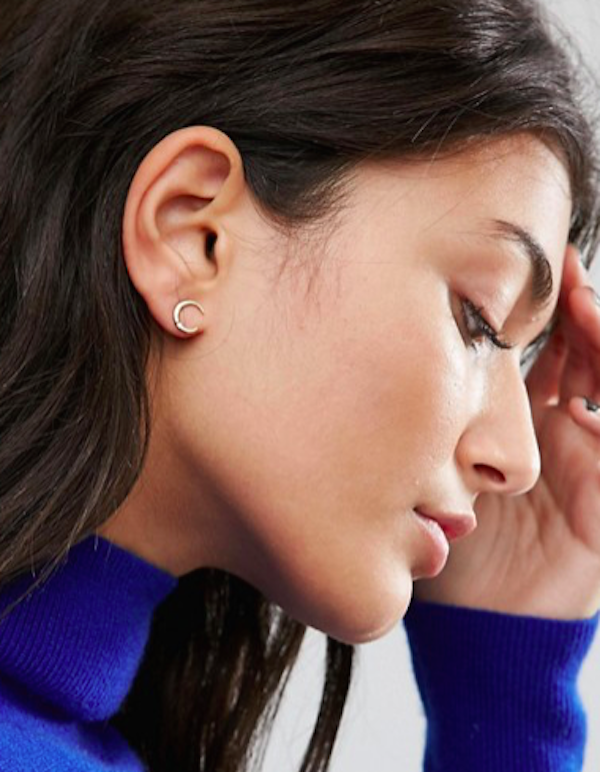 The classic hoop earring gets a subtle lunar makeover. Get them now. 19. Channel your inner Rihanna by pairing this dainty delight with a basic bikini for truly enviable beach style. Shop here. 20. 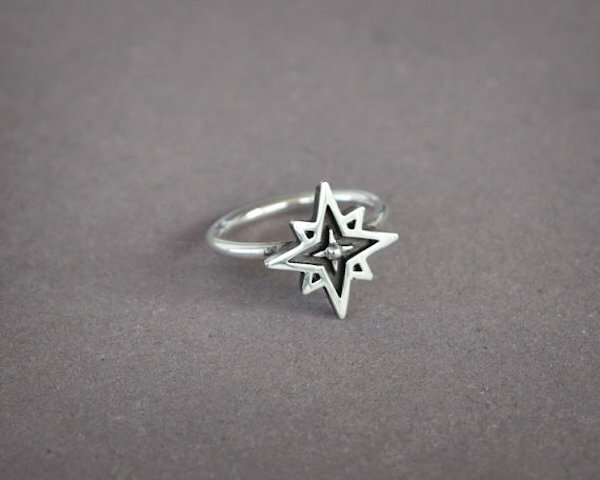 You’ll always find the north star with this baby on your finger. Available on Etsy. 21. Arm cuffs are making a comeback. 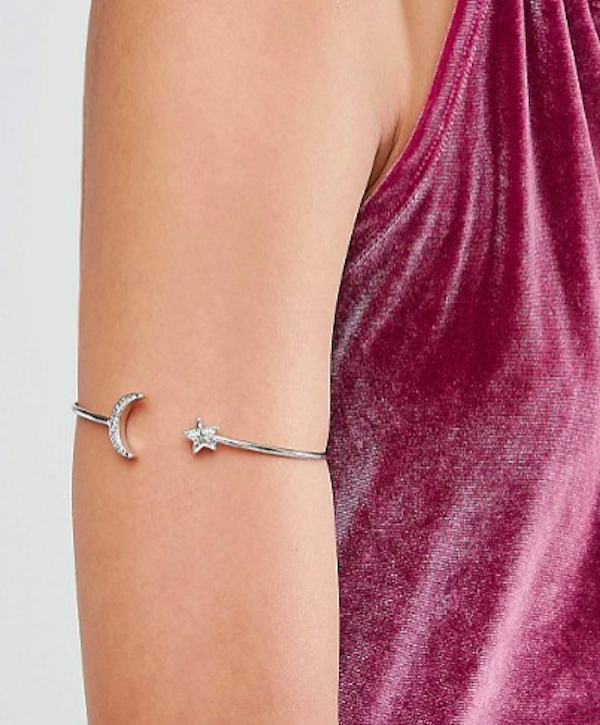 Be ahead of the curve with this moon & star version from Asos. 22. 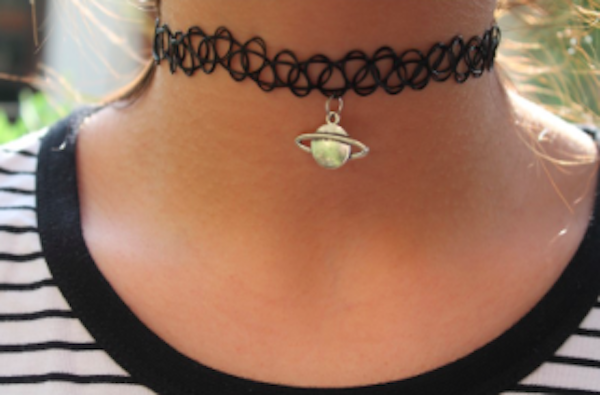 Doesn’t get more nineties than this tattoo choker with a planet pendant. Available here for the young at heart. 23. 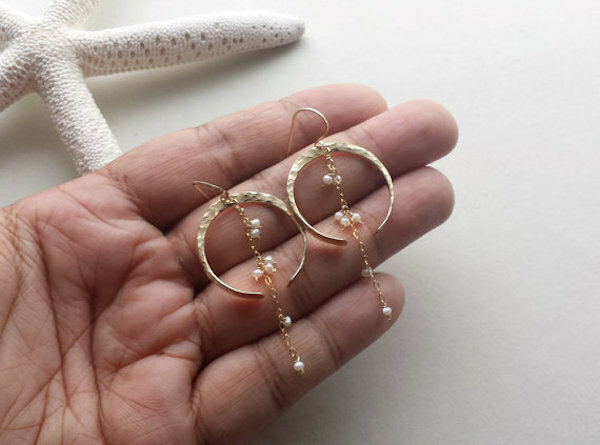 Beaten gold & white rice pearls on these earrings make you look like the moon goddess you are. Bonus- they match pretty much everything in your closet & are elegant enough for formal wear. Get them now. 24. Put these on & never take them off for stellar style. Shop now. 25. 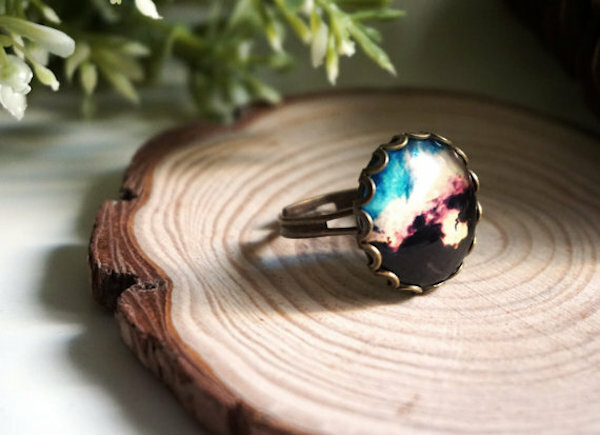 A galaxy on your finger to remind you of how big the universe is and how small you really are. On Etsy. 26. 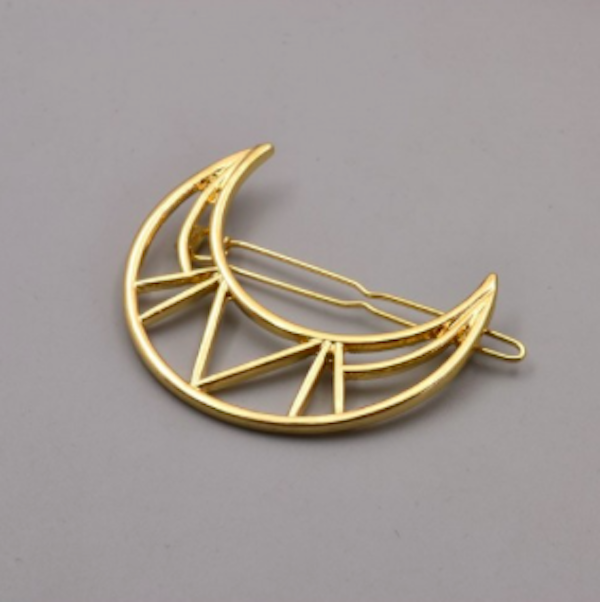 This geometric moon clip looks best with mermaid hair (s0ft pinned up waves, half up half down). 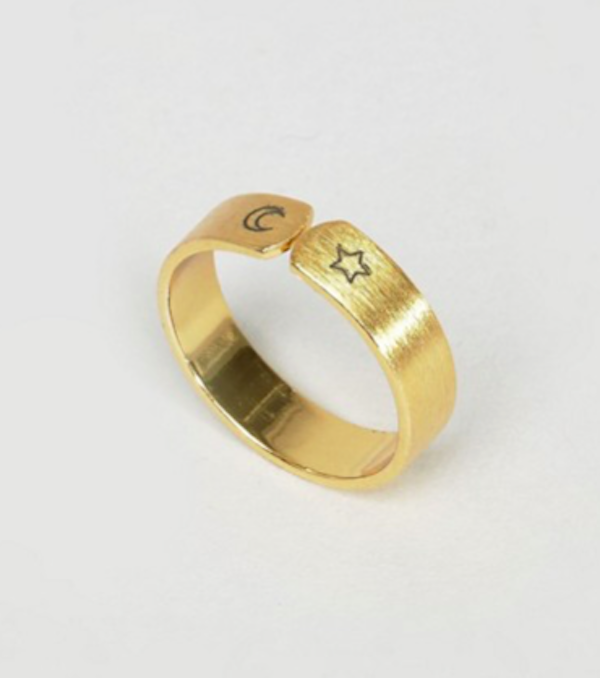 Shop Celestial Kitten. 27. 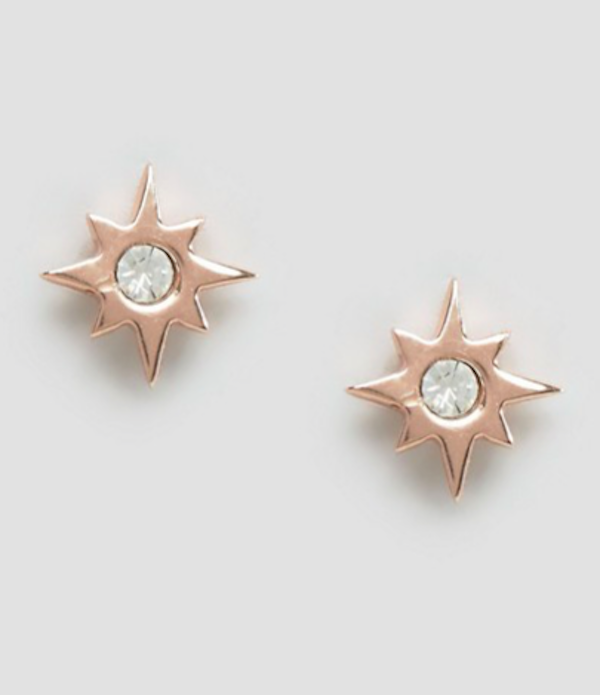 A rose gold & faux diamond starburst on each ear for good luck. Shop now. 28. 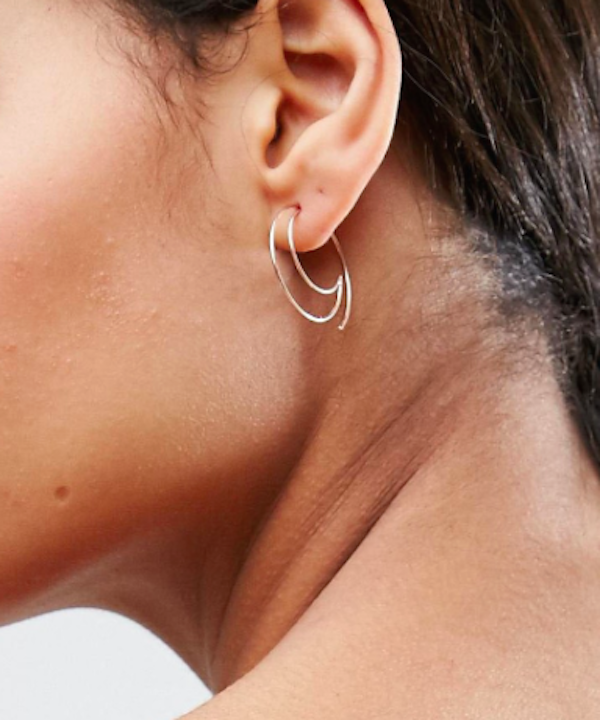 Hair rings are the new cool girl accessory, and these simple hoops look like little half moons once twisted into the hair. Buy here. 29. 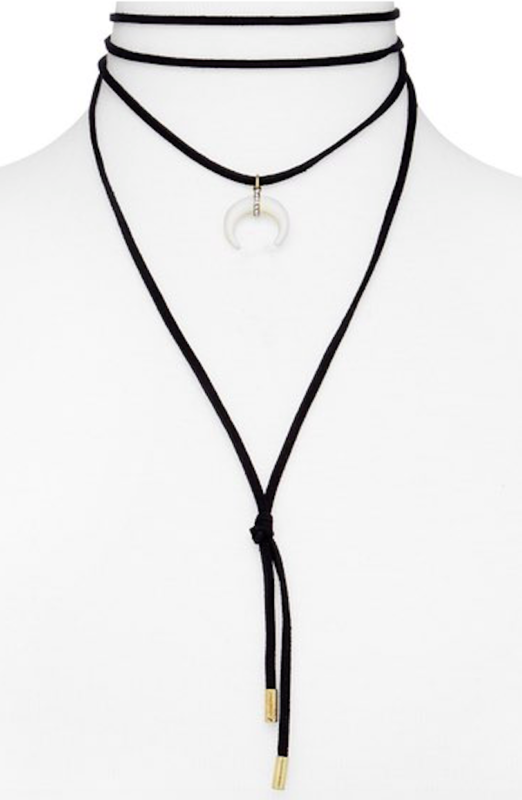 These horn like crescents are super on trend right now, and this affordable version from Lune will become your new fave. 30. 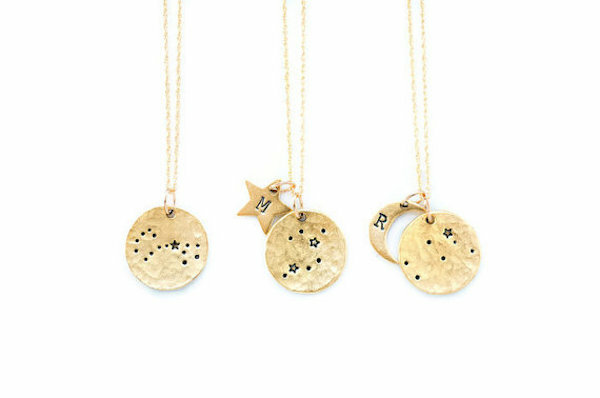 Customisable gold necklaces with your zodiac constellation and a personalised initial charm. Doesn’t get any prettier than this. Order now from Etsy.